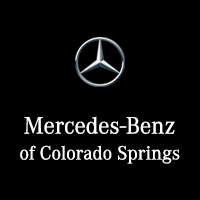 At Mercedes-Benz of Colorado Springs, CO, we are pleased to introduce you to the newest entry-level car from Mercedes: The 2019 Mercedes-Benz A-Class Sedan. This sleek, four-door luxury sedan is positioned to showcase all the latest technology and entertainment features while flaunting its aerodynamic design. There are two models of this car, starting with the 2019 Mercedes A 220 Sedan. This luxury car starts at just $32,500 and offers plenty to get excited about. In fact, standard equipment includes a panoramic roof, AMG® body styling, power front seats with three-position memory, dual-zone automatic climate control and three years of Mercedes me connect services. The next level up is the 2019 Mercedes A 220 4MATIC® Sedan. This trim consists of an ECO start/stop system, seven-inch digital instrument cluster, heated front seats, a heated steering wheel, power-folding side mirrors and a head-up display. All models of the 2019 Mercedes A-Class sedan come with the new turbocharged 2.0-liter four-cylinder engine. This produces 188 horsepower plus 221 lb-ft of torque. This is perfectly paired with a 7G-DCT dual-clutch automatic transmission and available with front-wheel drive. You can also opt to have the Mercedes’ 4MATIC® all-wheel drive which comes complete with optional 19-inch wheels and adaptive damping. As far as safety features on the 2019 Mercedes A-Class, there are plenty available. You get front airbags, side curtain airbags, driver knee airbags and the active brake assist technology standard on all cars. You can also add automatic emergency braking or active lane-change assistance if you opt for the Driver Assistance package. With the GPS and navigation data provided, the 2019 Mercedes A-Class uses route-based information to adjust your speed when you approach turns. It also prevents rear-end collisions by stopping the car from plowing forward into upcoming traffic. When the company set out to make an affordable luxury car, no one had any idea that the 2019 Mercedes A-Class would be such a hit. The automaker successfully kept the cost down without ever sacrificing high-class style, amenities and comfort. Sitting behind the wheel of this new Mercedes sedan allows you to feel like the VIP you truly are. The interior of the 2019 Mercedes A-Class is completey redefined with an avante-garde modern appeal. The interior is not only spacious but also completely comfortable. The widescreen display located in the cabin is free-standing while the air vents offer a sporty turbine-look to the entire car. There is 8.6 cu ft of cargo space found in the trunk of the 2019 Mercedes A-Class sedan. In addition, you’ll see that the front passenger has access to 41.8 in of legroom while the rear passengers receive 33.9 in. As far as the available colors for a 2019 Mercedes A-Class, you have nine options. Choose the bright and vibrant Jupiter Red to stand out in a crowd. If you are looking for a classic look, you might opt for Night Black instead. Aside from that, you’ll find some other popular colors such as Polar White, Cosmos Black metallic, Mountain Gray metallic or Denim Blue metallic instead. Many people wonder, “How much is a Mercedes A-Class?” The reality is that you can get it for far less than you would think if you consider one of the Mercedes A-Class lease deals we currently have access to. In fact, you can get behind the wheel of a new Mercedes A-Class today when you stop by Phil Long Mercedes of Colorado Springs. A 2019 Mercedes A-Class lease is the smart decision if you want to put out less money and have the option to upgrade in a few years to one of our new Mercedes models. We can help you decide what’s right for you, so you can get back on the road faster.